Both political parties have lost ground with voter registrations in Colorado between January and March. The state is growing. What’s different with this picture? Unaffiliated voters. Not so long ago, the Republican Party was the dominant player in Colorado politics. Gov. Bill Owens and the GOP ran Colorado from 1999 to 2007. It’s been downhill for Republicans in the governor’s office since then. At the state legislature, party dominance has shifted back and forth, but now, the Democrats are in control. Dems are up on the GOP by 54,391 registered voters. But Dems went down by 236 registrations from January to March and Republicans declined by 1280. The clear winner: Unaffiliateds (UAFs) increased their numbers by 17,096. Republicans are experiencing a faster death cycle than Democrats, but that’s praising Democrats with faint damns. Republicans just changed out their leadership with Fourth Congressional District U.S. Rep. Ken Buck winning the chair position after prolonged balloting. He’ll run the show while retaining his congressional seat. His job is to make sure U.S. Sen. Cory Gardner wins in 2020 and that the party turns the state Senate back to the GOP. 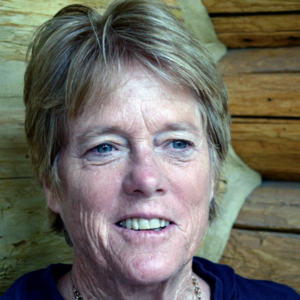 Former state Senate President Morgan Carroll will continue in her role as Democratic chair. She produced big wins for the party in 2018. Her job is to make sure the Dems continue their majority control of both chambers at the Capitol as statewide offices won’t change again until 2022, after the next redistricting. She also has to turn over the Cory Gardner Senate seat. Meanwhile, neither party is growing. Pre-18 age voter signups are flooding to the UAF non-side. UAFs show more than three times the voter registration in this age category compared to both Dems and the GOP. Dems are in negative numbers in four of eight age categories over three months. Republicans are under water in six of eight age categories. GOP growth is at the wrong end of the age spectrum: 65 to 75+. UAFs are growing in seven of eight age categories. Republicans in the legislature, especially in the House, are doubling down on policies that may have worked a decade ago but have lost steam since then. Minority Leader Patrick Neville has sponsored politically nuclear bills on concealed handguns in schools, proof of citizenship to vote, and reducing individual and corporate income taxes. They’ve been killed. Other recurring bills sponsored by Republicans have gone nowhere. These are anti-labor, pro-firearm, protecting-human-life-at-conception bills. It’s difficult to picture how these bills will attract young voters whom Republicans desperately need to rebuild. Republicans are threatening recalls of vulnerable Democrats. Even if these efforts are successful, GOP minority status will not change. Democrats in the House and Senate have pitched out big bills to test their strength among voters. SB19-181, Protect Public Safety Oil and Gas Operations, has passed. The Red Flag bill on firearms, HB19-1177, has passed and is on its way to the governor for signature. SB19-042, the National Popular Vote bill to offset the Electoral College is signed by the governor. Several pro-worker bills are winding their way through legislative committees. Dems withdrew the death penalty bill due to lack of support. Some large issues remain, including transportation and education funding. Republicans have made some progress on transportation, but only because Democrats support funding these projects too. Republicans believe they can pin “overreach” on Democrats. Democrats argue they’re implementing their mandate. Right now, the field tilts to the Dems. New Republican chair Ken Buck will need to figure out policies that will attract voters in the 18- to 40-year-old range. Democratic chair Morgan Carroll needs to figure out how to lower barriers to party participation for young voters. Both leaders have big jobs in front of them.